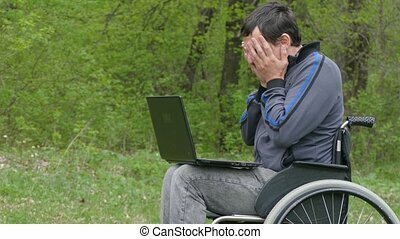 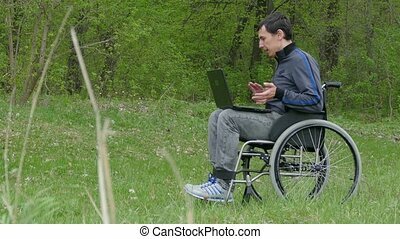 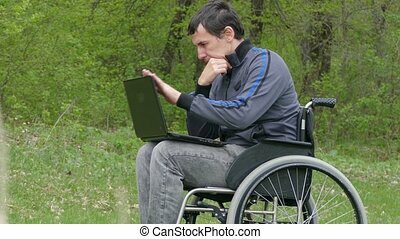 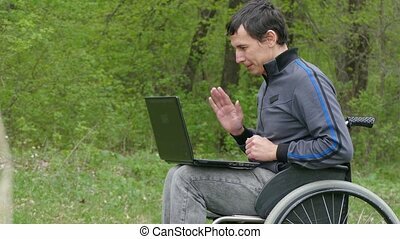 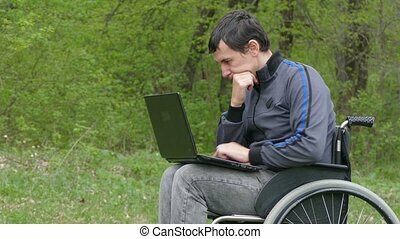 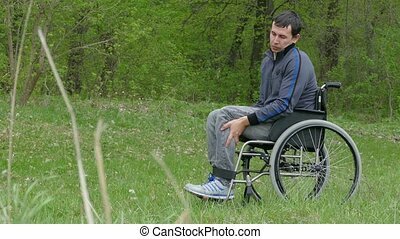 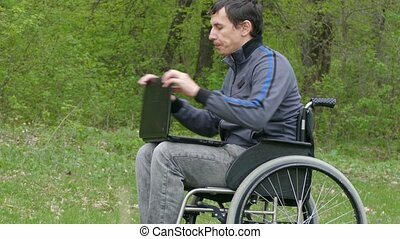 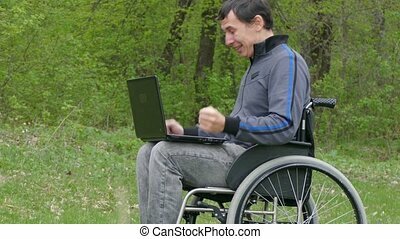 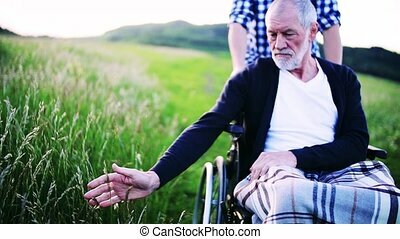 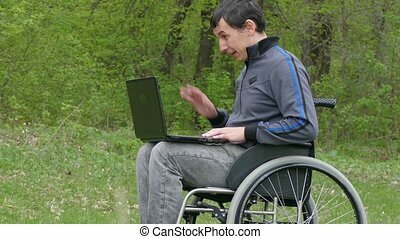 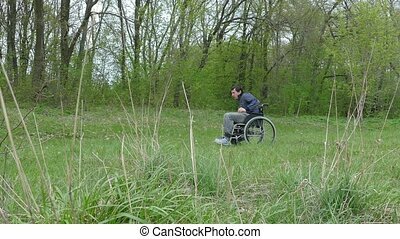 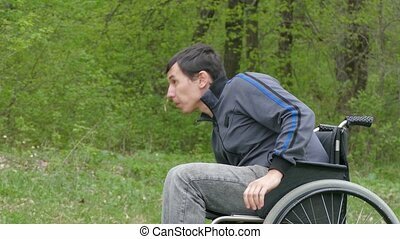 Disabled man wheelchair with a laptop in wheelchair working on nature green. 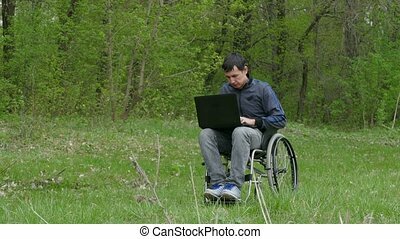 Disabled man wheelchair with a laptop in wheelchair working on nature green. 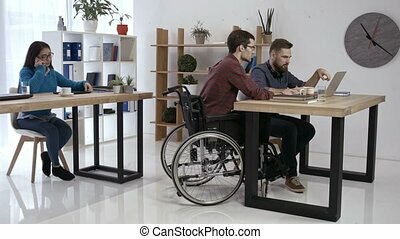 Two business people in the office. 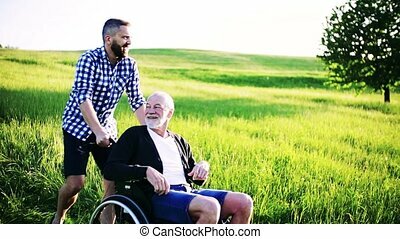 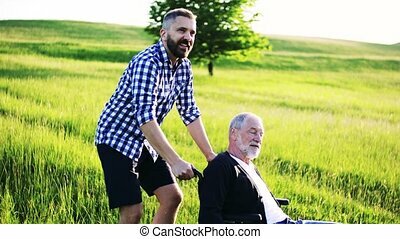 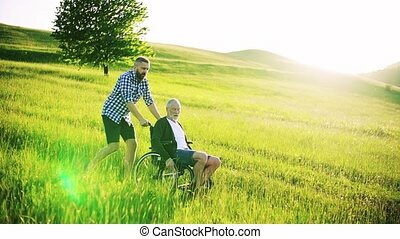 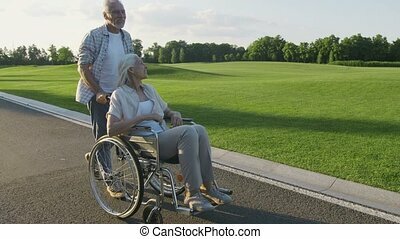 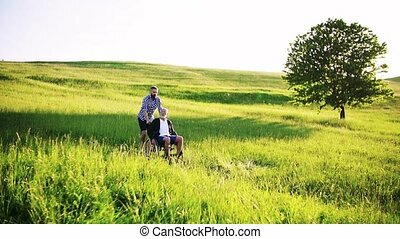 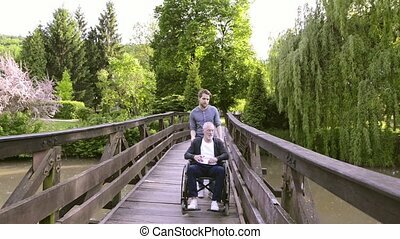 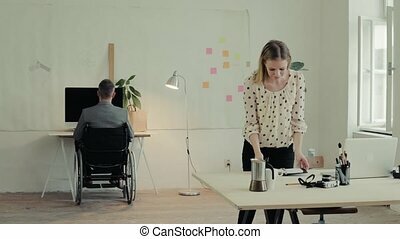 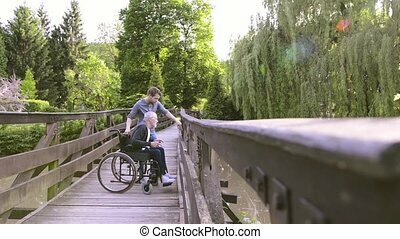 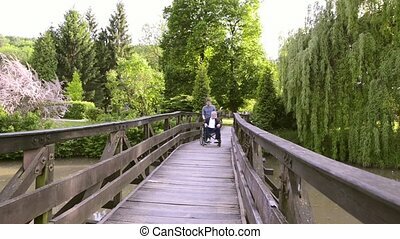 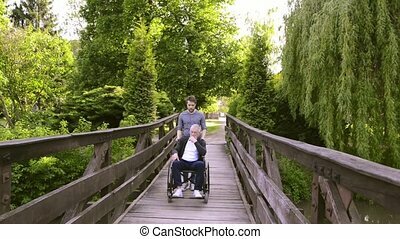 A man in a wheelchair and woman with diary working together.